Learn the adventure sport of scuba diving in Koh Chang on a short day trip. Accompanied by a certified scuba instructor, you'll take a boat ride to some of the most beautiful dive spots in the Gulf of Thailand. Here, you'll work with the instructor to learn the basic techniques of underwater navigation and scuba diving. You'll wear the scuba suit and plunge into the tropical waters for two 40-minute dives, during which you'll swim alongside schools of tiny reef fish among gorgeous corals. If you're short on time, yet want to learn scuba diving and explore the enchanting waters of Koh Chang, this is the perfect trip for you. Travel to some of the most popular dive spots around Koh Chang to swim alongside an abundant population of moray eels, sting rays, scorpionfish, snappers and hundreds of tiny reef fish. 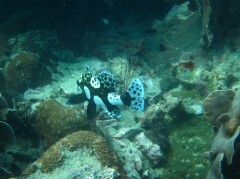 The waters around these dive spots are usually calm, with a relatively good visibility of up to 30 feet. The terrain is dotted with rock pinnacles with brightly coloured coral reefs sprawling the surface. Alongside scuba diving and snorkelling, the island of Koh Chang is also popular its soft and sandy beaches, the perfect place to relax after a day under water. • Get your first introduction to the adventure sport of scuba diving. 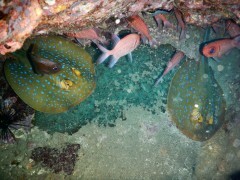 • Engage in two, 40-minute scuba dives in Koh Chang. Travellers are required to follow instructions of the dive instructor during this try dive in Koh Chang. 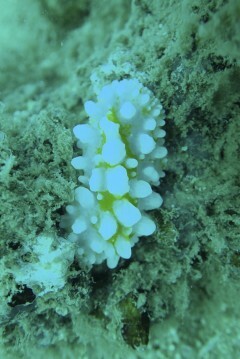 For cancellations made before 20:00 hrs on the day prior to the scheduled try dive in Koh Chang: 100% refund. For cancellations made after 20:00 hrs on the day prior to the scheduled try dive in Koh Chang: 80% refund. All refunds will be processed after deducting international payment transfer fees. Please check with us what these charges will be for this try dive in Koh Chang. Hotel pick-up and drop-off is included in this package, only if your hotel is situated along the west coast of Koh Chang. Accordingly, please inform the tour operator regarding the address of your hotel a week prior to your scheduled try dive. The tour operator takes utmost care to ensure safety of the travellers and shall not be held responsible for any mishap, accident or loss of life during the try dive in Koh Chang. 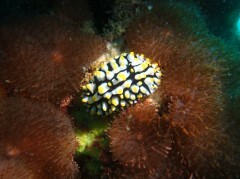 Go on a try dive in Koh Chang! Depending on the location of your hotel on the west coast of Koh Chang, you'll be picked-up a little after 08:00 hrs. A shared taxi will take you to the Bang Bao Pier, where you'll complete the pre-dive paperwork and get into a boat. You'll travel to some of the dive spots around the Koh Chang island, where you'll engage with a certified scuba instructor who will train you in the proper methods and techniques of diving. Under the guidance of the instructor, you will learn the basic principles of diving and participate in two scuba dives into the Gulf of Thailand. A delicious buffet lunch will be served on the boat, as you relax in between the two dives. By late afternoon, you'll travel back to the Bao Bang Pier where taxis will be waiting to take you back to your hotel on the west coast of Koh Chang. Your trip ends here. 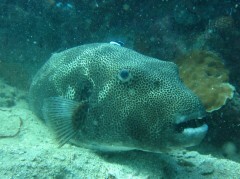 The tour operator will arrange your transport to the start point of this try dive in Koh Chang.